We all remember the good old days of Mitch Kupchak, his glassy eyed stare and self proclaimed basketball expert Jim Buss. Those seemed like the bad old times when they were happening and for good reason-they were the worsts of times...or seemed back then. After one failed move after another with their ridiculous win one more with Kobe design the team hit historic all time lows. When Jeanie Buss pulled the coupe to oust Mitch and her brother no one was happier than I. Those who read me knew I railed against Mitch for years, long before it became fashionable. He had been living on Jerry's Wests moves his whole career and at the end the team had been carried by Kobe, another West acquisition. I'm not going to go over all the bad moves Mitch made, you all know them. While I was happy Jeanie pulled that long overdue move but there were two things that concerned me: Jeanie herself and the people she installed to replace Mitch-Magic and Pelinka. Let's look a Jeanie first. She was part and parcel of the Mitch-Jim regime and never voiced concerns of about their fatal mistake with the win one more with Kobe philosophy when it was so very apparent there would be no more with him, that the time to scrap the team and rebuild was totally in evidence with the playoff losses to OKC and Dallas. By that point Kobe was an aging player and obviously no longer the top force in the league, he had been supplanted by younger, better players. The years of toll on his body and his age had done the inevitable as it does to all players. Yet Jeanie was all in with disastrous path that led to this teams first ruination. So much so that when the abortive mess of Howard's and Nash's first year ended she was a proponent of the great billboard caper to keep Howard, a player who never wanted to come here to begin with evidenced clearly by his refusal to sign an extension. Jeanie was a proponent for bringing the Mummy, Phil Jackson back to LA as a GM. You know, the same Jackson who ran the Knicks into the ground and only liked to work half days. Oh yeah, and he was her lover too. When all this fell apart Jeanie said in an interview, "My father ran the team all those years and I have to learn from him." What? I almost fell over when I read that remark. Jeanie was woman in late middle age and she was speaking like she was a teenager. Jeanie, you had thirty years to learn from your father, now he's dead. It's too late. Her remark reminded me of the scene and very stupid line in the Godfather part III where Don Altobello tells Michael Corleone, "You have much to learn from your father." Um, the Godfather had been dead for decades, Micheal was a man in his sixties, if he didn't learn from his father while he was alive how was he going to learn from a dead man? Unlike Jeanie, Michael had indeed learned the family business very well from his father, while he was alive. Then you had Magic and why, like with Jeanie, I expressed my concern here about him. Unlike many, Magic actually left a long, wide clear trail of his thoughts and ideas on Twitter. And what I read over the years did not instill me with confidence. He too fully supported the moves Mitch had made, in fact he gushed and burbled about them like a kid, his excitement so very evident. And he loved the Howard/Nash deal, said so with his own hand for all to read, until it proved a Lakers nightmare, then suddenly he criticized it, long after the fact. And he did this over and over. He would love a move, then hate it when it didn't work out. And in doing this he reminded me of a kid, say a twelve year old fan, all emotion and knee jerk reaction, no adult calculation, no thought, no insight or long range planning or perspective at all. Just a child seeing and adoring and wanting the next bright shiny object or toy. And that is exactly what he has turned out to be. He operates like a young fan, a kid who has suddenly been given a team, a toy to play with: The Lakers. And what does this child want? The next shiny toy. You know: Lebron, George, Leonard, Davis, Durant. And with this laundry list of expensive toys he wished to purchase he had to clear cap space and contracts, and players with names that didn't excite or interest him, not big stars you know. Their names: Russell, Randle, Zubac, Thomas Bryant. Anyone want those players back? Anyone wonder if the team would have been so much better this year with them? Think we might have made the playoffs? Would the team have actually been fun to watch this year? Would we have a future to look forward, players to build around instead of wasting away with aging Lebron? I read an article the other day that said Jerry West and other GM's and personal men around the league were laughing at the Lakers trading Zubac away for what they got. Yeah, I believe that. But you know, I wasn't laughing, I felt like crying, just as I did with Randle and Russell and Thomas. The saddest part is apparently the Lakers coaching staff lobbied to keep those players but were overruled by Jeanie, Magic and Pelinka. And speaking of Pelinka. He looks like Rob Lowe overdosed on Vicodin, tanning beds and plastic surgery. He never gets that stupid, plastic grin off his face. Why is he smiling so much? Is Earv teaching him how to smile? It can't possible be because of the job he has done, could it? Maybe because he knows he is getting mad coin and prestige for a job he was not prepared for and had no right being offered or assuming. Who wouldn't smile if some idiots handed them all that? Hell, you wouldn't stop smiling. You know, like Pelinka. And what was his qualification? Well, when he got that job they said he was a great judge of talent. Really? But when I read his bio it was as Kobe's agent....and I wondered then, what makes him such a great judge of talent? Where did he scout at, for what team? What terrific roster did he help build and for which team? I just didn't see where he did that for anyone. So how is he a great judge of talent, where did that reputation come from? 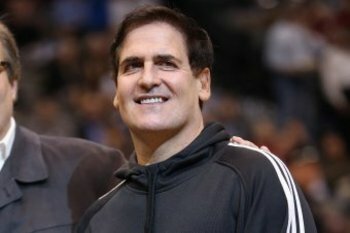 Maybe when he and his other rich friends sit around guzzling cocktails he would point out some good NBA player and say, "Oh yeah, I loved him in college." And his friends would nod and think, "Wow good old Pelinks! He really knows his stuff!" Is that how he got that reputation? And so here we are now. The kids are running the store and this is the result. Yep, Mitch and Jim were bad but this is the nadir, because this time around we had good young talent on the team and so much of it was jettisoned to pursue a win one with an aging Lebron agenda. Sound familiar? Remind you of something not that long ago? And what is even scarier is this: For the problem to rectified, Magic, the most beloved, iconic Laker of all time will either have to step down or be fired. Pelinka would also have to be shown the door at the same time. Can you see that happening in the near future? But it gets even worse. Because at the top is Jeanie, just as much a child as Magic and Pelinka. See, she made that first mistake in hiring Magic and Pelinka. Then she doubled down on it by accepting what they were doing. You know, she could have backed those coaches and said, Randle, Russell, Zubac and Thomas are staying, but she didn't. But who will fire her, she's the boss. The very best solution for this team, perhaps the only way out, is something that would have been unthinkable twenty years ago. The Lakers need to be sold, to be divested of any Buss. Do you think that will happen? And so, staying with reality here, all we can hope for is Jeanie someday realizes her mistake and hires some good, professional people to run this team. Not children, not fans, but adult thinkers. And given Jeanie's character and her past record, well, good luck with that day coming. When young children are in charge of any complicated, high pressure endeavor, you have a problem. Where is adult in this room who will clean this mess up? As usual, excellent post Quollman. For the last 6-7 sesons I have been losing interest in this team... I came back around last season because they were exciting to watch..
As we have discussed privately, Smiling Earv had made some a** scratching moves.. Perhaps one can argue he gets a mulligan for trading DLO bcuz he shed Mozgoof’s contract.. However, from last summer through this season he has made even more horrific moves.. Letting Randle walk without even making an offer.. Letting Thomas Bryant go,. That kid will be a stud.. Signing known malcontents like Ghetto Smurf Rondo and Beasley. Making a linear move of trading rookie Svi for flock of seagulls Bullock. Also, without question the dumbest move of the year was trading Zubac for Muscala.. I'm also not a fan of the L3-6ron signing.. Not at this stage.. It’ll be really ugly once Legroin is 35-36-37 and unable to do anything but flop.. I'm sure he will still defer and miss most of his shots and FTs in crucial moments..
We have discussed this so often, us two. And my despair matches your own. The list of horrific moves just grows and grows. Like you and I (and others) stated here our objections to getting Lebron. I wanted to keep all the kids and move from there. If we got Lebron, I did not want to sacrifice the kids to try get vets on this team, which they did. I too have lost interest. It started with Mitch and now continues with this regime. I can stomach bad teams, I can live with and even enjoy young teams because they are fun to watch, as with Randle's last year with the team. That team was fun. I watched every game. But I can't deal with total, abject incompetence year after year after year from the FO. Ultimately this travesty lies at Jeanie's feet. She does the hires and she has the final say on all moves. She is in way over her head and we are in as big a trouble as I have ever seen in my long time as a Lakers fan. Lol, yes Baptist, there are the Dodgers! Bout time we hear from you, lol. When I read the title of this thread, I knew who posted it, haha. Magic has given away, Lou Williams, probably having the best 6th man season ever. Deangelo Russell, an all-star who I think would be even better playing off of L. Ball, Julius Randle, who is an all-star caliber young big. Jordan Clarkson, Larry Nance and now Ivaca Zubac. All we have to show for all those moves is a 34 year old declining player on a max contract, that plays zero defense, that apparently other players don’t want to play with, and appears to take the fun out of the game for all his teammates. Luke Walton will likely be fired, so there goes another coach. A young coach that just a year ago, the entire nba was very high on. This sums up the job Magic Moron and his lackey have done in 2 years. Pathetic. I whole heartedly believe that the majority of us, with zero NBA experience, could have done a MUCH better job than this. You made me laugh out loud with that title of the thread remark. Well its a year later since we discussed this Lebron thing and it turned out to be the biggest nightmare possible didn't it? All you say is spot on. And yes, there will be a scape goat for what the three stooges did and it will be Walton. He will be the sacrifice. You and I had a lot to say last year, right? When this all started. Before the James and Randle moves happened. I'm sure you remember just as I do. Cali I just don't watch them any more. Jeanie and company broke my heart. Russell, then Randle, which just killed me, Zubac and the others. I can't reward Magic, Pelinka and Jeanie by watching and pretending to root for and supporting this mess. I've lived and watched great teams, good ones, bad ones and young ones but I will not line up with this owner and her FO. I can't. I hope so much that Leonard and Davis never come here. I want those three idiots to choke on what they have done. I want to see Magic and Pelinka fired. I want to see Jeanie sell that team to any person not named Buss. The last part will probably never happen so we are most likely screwed for the future. Unless she gives up all power and somehow gets lucky and hires some good people and lets them do their thing and stays out of all of it. Boy Cali, it is as bad as it could have gotten. I mean we have the worst owner and FO in sports. How bout those Lakers? Its come down to this. SPQR said: " I read an article the other day that said Jerry West and other GM's and personal men around the league were laughing at the Lakers trading Zubac away for what they got..."
I have a secret recording of the negotiation between Magic and West. "Magic here. Jerry, who do you got who will be a big star in a couple years that we can get for Zubac?" "We have this up and coming super star, Mike Muscala, who will make people forget Michael Jordan." Magic and Pelinka are trash, but the person who hired them is the real problem. Jeanie doesn't get enough criticism because she's a nice lady, but her moves reek of nepotism. Getting rid of Kupchak and Jim Buss? Fine. But there should've been an exhaustive hiring process. Look around the NBA, hire the best people you can. They could've hired top quality executives, but nope, she wanted to keep the laker family together so they could reminisce about the good times over lunches and barbecues. I can't think of any good organization that operates this way. A change in ownership would make me the happiest, but that' s not going to happen. I can only hope they strike out this summer (which I believe will happen) and Magic and Pelinka follow Luke out the door. Then put Jesse Buss and Ryan West in charge. That type of thinking is the problem in LA., not wanting to re-sign guys who aren’t so-called stars. How many guys will LA let go if they don’t consider them a star or a potential star? It’s a HUGE issue to me because Zubac’s market value wasn’t going to be that high but LA traded him to avoid restricted free agency imo. I don’t believe that you can compete with a team where stars are the only ones with four year contracts and everyone else gets one year deals. That’s the direction LA is headed. A) We don't know yet if he is something special. He is 22 years old. Right now he is a starting center for a playoff bound team. B) "You can't teach height!" Legit seven footers are scarce. C) Muscala is a certified bum. D) Even if Zubac is a bencher, the trade was ridiculously lopsided. E) Why not play him 20-26 minutes and find out what Zubac can do. F) The Clippers are letting him play 20+ minutes. G) Jerry West cleaned Magic's clock. Scoff at me all you want, I am a big boy and can take it, but the Lakers have better watch out after seven desultory years if the Clippers, in the future under Jerry West, get to the Finals. Then all bets are off. Especially to the younger fans who do not know there is no lake in Los Angeles! Couldn’t agree more. And yes, you & I both said it. I hate to say it, but I also barely watch. And I hope they choke on their decisions. We can see what a disaster this FO has been, but Jeannie will keep them around and they will likely fire Walton. Sigh. We are more than likely doomed for the foreseeable future. Unless we somehow got allay and Durant lol. But Durant has made it abundantly clear he doesn’t want to play with LBJ. And top players like that will want to less now than a year ago. No way Magic will see the light and trade James and realize his mistakes. I just don’t see any light at the end of the tunnel anymore. Say what you will about the young guys, but at least we had a future. We’ve sacrificed that for a ridiculous win now mentality. Obviously, Jeannie didn’t ask Magic any interview type questions, or why fire her brother for an even more extreme version of his own stupid strategy. Smh. At least the previous front office valued our young players. Yeah, they kept getting high draft picks because of their own incompetence, but I think even Mitch would’ve been smart enough to see what he had and try to build around it and improve upon it. Oh well, football season will be starting before we know it. Zubac is 21. He will be good and not easily replaced in free agency! Can anyone explain why we can’t rep someone more than 5 times. Even if it’s been years. What the hell. I could see like you can’t rep someone so many times in a single month or even year, but damn. You may all think I am crazy. I am. Since the NBA has become like the WWE; it is all about entertianment. If we are never gonna be anything but a Lottery team, just go for entertainment. He appears to be in great shape, he is only 40, and will pack Staples. Add in Dirk too! Maybe Kareem! Vince Carter can still ball at 42. Have Magic coach and you would have lines around the block. April Fools? Maybe, maybe not. 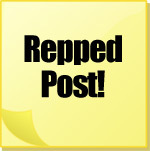 Great post Randy! I think you describe the dilemma quite perfectly. Jeannie unfortunately has not thus far been a prudent overseer of the team like her dad. She's not going away anytime soon, so the best chance of a turnaround is the get rid of the current FO and get a team of experienced, respected, and proven execs. Lebron doesn't have a huge window, so it's important for the team to get its act together right away. But it remains to be seen if she will do it- it's probably less than a 50/50 chance. Yeah I think that should be raised as well. I've gone ahead and made the new limit 15. Try again now- it should work. No never said that about them, but now that you say it, what has Dlo really done would we be talking about him as much if he wasn't in the East on a team that would be out of playoffs in the West and probably lottery team. He's a nice player, but doubt he'd be what he is now if he was still on Lakers. He pretty much said as much himself. Disagree, but it's all good. My point was, they weren't bringing him back anyway, so I'm not losing any sleep over a player that wasn't going to be here regardless. Hey, nice to read you again. And thanks so much for the rep! You have always been very kind to me. Yeah, the toughest thing to do in business or sports is fire the owner, lol. It's not like a coach or GM. You are stuck with that. Unfortunately you rarely see sports teams with bad ownership do well. It is dismal to contemplate the future unless Jeannie has an epiphany, that being as you said, hire good people and get out of the way. But how many bad owners hire good people? Part and parcel of what makes them bad. Boy it's going to be interesting to see what happens here. If Magic's grand plan doesn't work, how will Jeanie have the guts to fire him, the great Lakers icon who was going to save her and the franchise? Not only is it firing Magic but an admission that in the biggest decision of her life, after dumping brother for being incompetent, she proved just as deficient. Thanks for the rep too! I just noticed it. I suspect she wouldn't fire him. He would say be had conflicting interests or smth and not enough time to dedicate to the effort. And resign. In order for her to save face. A top ten draft pick is no guarantee of a superstar. Tanking ain't easy. It was a number of years before the Greek became the Freak he is now. Likely the Lakers would have traded him for Murry Muscala, Mike's brother. Of course he's the man. He's the owner of the site lol. I would be all for Ryan being the new GM with Jerry as a special consultant. I know it won't happen, but I am all for it. I also think it is a little unfair to blame ROb for a lot of what is going on. I think Magic makes most of the calls. Someone asked initially what did Rob do to get this job? They same thing could be said of Bob Myers in GS. The Lakers tried to jump on a trend by hiring an agent like GS did and then hire a coach who had connections with GS. The fact that Luke was also a Laker is gravy. Its nice seeing you post again after quite a long time. As you said, I've lost any interest on this team, although I'm a Laker Fan at heart its still disheartening to see what has really transpired for this team. to the owner & to the management up to the players have been a complete disappointment. I just hope we figure it out some way because i felt the fans deserve a better team. Jeanie might still be here for a long time but as others in the forum suggested i would like a much more experienced GM & Management and Coaching Staff. even our training staff have been a disaster, players who have been durable for longest time have become so fragile when they wear a Laker Uniform. its been a disappointment. Losing Randle,Zubac,D-Lo while theyve done great on the other teams made me lose interest. with no clear direction, i just feel so numb & empty watching my favorite team suffer.as Baad, said we even lost these players for NOTHING. As lifelong Laker Fans & member of this forum, ive always felt grateful this to be able to share my thoughts & feelings on this page. As lifelong Laker Fans & member of this forum, I have always felt grateful this to be able to share my thoughts & feelings on this page. I think a lot of us are very disappointed. I also believe that if Magic stayed the course with the young team that the LA fans would have rallied behind their young and learning squad. Instead, Magic did a total 180 from his patience statement. The Lakers have done a pretty good job of drafting guys who can play, it's just unfortunate that LA's fans aren't patient and aren't always reasonable. Not every player drafted in the lottery will be some transcendent talent and they acted as if these kids that were drafted were busts and clearly they weren't. It's a shame that management carries that same attitude towards players, they only commit to guys who are stars in their eyes and I think it's hurting the team as a whole. Thanks for the nice remarks. I hear you on the Shaq-Kobe teams. You had two of the greatest players at their positions in NBA history, in their primes and they had so many close games and struggles. Because it really was just those two so often. Mitch never built up a real team around them. Mitch was a failure his whole tenure. You're listing of his picks is also a damning indictment. Good research there by the way. I wouldn't worry a bit about Pelinka losing his job and I will tell you why. First off, he is no longer an agent. Second, even if he went back to it so what? He's not going to represent every good player in the league. And if the best deals for his player and himself, think money here, he would deal the Lakers. Lastly, nothing is worth keeping a bad person in the FO. It is always a plus for team when someone incompetent in the FO is forced out. Great to see you too! We were spoiled for a long time, right? But now we have paid for that and been brought low for a long time. You are right, the Lakers fans deserve better than this drought that is going on for so long. I know after this year I will not be buying the team pass to watch them. I won't give Jeanie that money as long as this goes on in the FO. I hope other Lakers fans do the same. It is tough watching them as you say. They play a boring game and our star attraction is an aging player while exciting young players were let go. Last year this team was fun as hell to watch. Now it's just so awful. It's always been great fun for me to read your opinions and interact with you. I have so much respect for you. I have always felt that way. Wishing you well too Ralpp as always. Keep on punching. Lots of daily radio sports talk about the plight of the Lakers here in LA. None of them very complementary , and today pointing out that the problems are not just limited to one part of the organization , rather entirely as a whole. from taking on a front office with no experience , to a coach who is a rookie , lots of young players the wrong sorts of which are taken on to try and help Lebron. it's an organizational wide problem and most fear the worst in terms of the future if they can't figure it out real soon. sadly the Laker reputation is soiled , and between players not wanting to be second fiddle to Lebron and worries about the front office is not a very attractive destination anymore. Compared to what other teams have become meanwhile . I don’t blame the fans anymore. I feel that the majority of fans agreed with us and wanted to keep the young guys and most did not want LBJ. For those of us who want Magic (and Pelinka) out, here are couple of new stories. Blah. In regards to the second story, yes Jeanie, of course you will defer to Magic. You always do. Oh yeah, that's great stuff to come out. Nothing other players want to hear than The Magic Man and plastic surgery Rob Lowe lie when dealing with players. Sadly, I take that as truth. Why would Bogut lie about it? He has zero reason. None I can think of. Knowing their way of dealing with players, all the way back to screwing over Jerry West back in the day, seems to be status quo. Except during the time when JW was GM. Did things the right way and thus was always able to bring in the names. Certainly not since. Really irks when you know we could have had him back. I do hope all of us who feel the Laker's sky is falling is wrong and someone they right the ship this summer. But hard to imagine how that can happen. If not I guess some of us will go onto other things and check back in in 5 years or so and see how it's going. That would save well over 1000 hours of your time lol. Jeannie has been paying attention to us. Once she heard the report by Momo today, she’d had enough she’s taken the first step to getting us back. See ya, Magic! Its a good day but the damage has been done. From all reports it was Magic who left. Said he wasn't having fun!! He was a bullshitter to the end. The reason he left is people finally started catching onto the fact he was killing this team, that his miserable plan was a fantasy and this team was going down hill. The criticism of him was going to get stronger and more vehement as time went on. He also didn't want to deal with a pissed of Lebron who he made promises to. Yes, too late, too late. We are saddled with Lebron, Randle and Russell and others are gone. Now someone has to pick up the pieces. And who will that be? I don't trust Jeanie any more than I did Magic or Mitch before him. The hole he dug for us will take a long time to get out of...if we do. You can't get those players back. Well I mostly said that tongue in cheek. But you know as well as I do “reports” aren’t always facts. I strongly believe that Jeannie asked him to step down. I mean just hours before, another report came out that Magic wasn’t on talking terms with Luke. Meanwhile there were earlier reports that Jeannie wanted to trade LBJ and she has come out and spoken out against all this info being in the media. Just recently she was saying something about they need to communicate better. Pretty sure that was directed at Magic. Couple this with the fact that no one saw this coming. Don’t think it was planned. I believe another negative report came out about Magic and she was already fed up. That’s just my opinion. Don’t think we’ll ever hear a report saying otherwise. I think she let him save face and “step down”. I’m just connecting the dots here. But I highly doubt Magic decided all of a sudden this just isn’t fun, I quit. Again, just my opinion. But you’re a smart Man, SPQR, I think you believe there’s more here than just what Magic tells us. He’s a conman. The true story, if there is one aside from what was announced by Magic will come out over time. And by that I mean was he forced out. Too big a story not to. Too many reporters will be digging. I think that what happened is the collapse of the team and Magic's pathetic moves and plans caused a lot of friction between all concerned. I also think Magic finally realized all these big time free agents he thought would flock here because of himself and Lebron were not going to happen which killed his master plan, such as it was in it's stupidity. I think as Randle and Russell and some of the others get better and better there would have more talk in the media and fans that Magic screwed that up too. 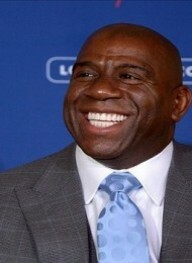 I think Magic saw a big long tenure of nothing but laughter and criticism coming his way. You know, the questions and criticisms about Magic were just starting up this year, finally, long past due and it was only going to get worse. I don't think Magic wanted any part of what he was starting to get and what was coming. I am sure he felt he would get Lebron and two more super stars and end up being the toast of the town and the sports world. But now it was even apparent to him it was all going to **** and he was in for nothing but ridicule. I think he decided to bail before it got to that point where he was considered a total laughing stock in the press and the sports world. His ego could not take that. Not at all what he signed up for. I still wonder about the timing. Whoever's idea it was. Why not wait a cple days to announce it until after the exit interviews? That's the most suspect thing about it all to me. Nothing good was served by it. Heard a ton of news on this today, including from Woj, who has the highest respect. And according to all reports it went down just as described. I believe it. Magic wanted out because he could see the writing on the wall. He didn't want to be pilloried for the next few years as a clown and incompetent. I'm sure he was stressing about it for a long while now and decided to get out fast so he would shoulder all the blame but that it would fall on the next guy. I have no doubt he was a jumble of emotions and nerves the last few weeks as it all fell apart and he was trying to find a way to get out free and clear. One of the funniest stories I heard today was that apparently Magic took a page from Phil's book and really didn't like to show up for work, because you know, that is boring and there are so many other fun things to do when you are that rich. So it seems Pelinka would come to work and start saying to people in the office all day, "Hey, did you see Earv? Where is Magic?" That is priceless. I can just see him doing that acting all innocent, asking that question over and over to people, sticking the knife in. Just priceless. I'm sure Magic loved that. Yeah I heard that stuff as well. We need a full time guy. Not part time. Maybe part time would be ok if the team was set and established with personnel etc. But not now. It's going to be a gargantuan job to replace all the pple who are gone. And if Pelinka gets the shaft, it will be one more. We're in a heap of do-do atm either way. Will be interesting to see if they can swim out of it. Then shower off the stench lol. From what I heard today, Pelinka will accrue more power and take Magic's place. That corresponds with the reports the Lakers are looking for a coach. If they were going to hire a new President of Operations and GM they would wait till those seats were filled before doing a coach. At least in any sane organization. I'm not so sure using the word sane and LA in the same sentence works anyways anymore. And I'm not just referring to the team. At least we're not a sanctuary city yet. At least, not officially, by declaration. Tho informally, that's another matter.